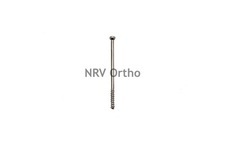 Leading Manufacturer of cancellous cannulated screw, cannulated cancellous cc screw 4.0mm, short thrd/full thrd, cannulated cancellous cc screw 6.5mm, thrd length 16mm/32mm, cannulated cancellous cc screw 7.0mm, thrd length 16mm/32mm, herbert screw 3.0mm and cancellous locking head screw 3.5mm from Ahmedabad. Owing to rich industrial experience, we are involved in offering best quality of Cancellous Cannulated Screw. 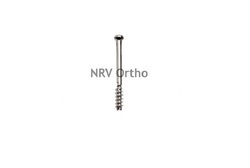 The offered Cancellous Cannulated Screw is available in the market in bulk at most reasonable rates. 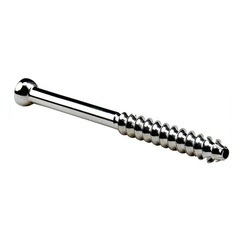 The offered Cancellous Cannulated Screw is extensively used to stop the screw heads from penetrating the bone. Cannulated Cancellous CC Screw 4.0mm, Short Thrd/Full Thrd is offered by us to customers in bulk. The offered Cannulated Cancellous CC Screw 4.0mm, Short Thrd/Full Thrd is extensively used in various suitable applications. 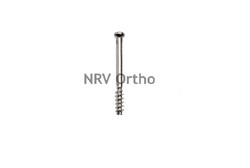 We are offering this Cannulated Cancellous CC Screw 4.0mm, Short Thrd/Full Thrd to clients as per their requirements. As per the requirements of the customers, we are involved in offering best quality of Cannulated Cancellous CC Screw 6.5mm, Thrd Length 16mm/32mm. 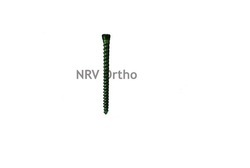 the offered Cannulated Cancellous CC Screw 6.5mm, Thrd Length 16mm/32mm is available in the market in wide range. Cannulated Cancellous CC Screw 6.5mm, Thrd Length 16mm/32mm is easy to use. Available in Titanium alloy (As per ISO 5832-3) & Stainless Steel AISI 316 L.
Leveraging on the skills of our rpofessioanls, we are involved in offering best quality of Cannulated Cancellous CC Screw 7.0mm, Thrd Length 16mm/32mm. 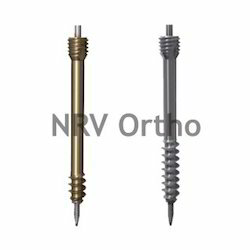 The offered Cannulated Cancellous CC Screw 7.0mm, Thrd Length 16mm/32mm is also known for its unmatchable quality.